Igår plockade jag fram symaskinen igen. ––– In English below ––– Det var som att en kär vän kom tillbaka igen, för den har varit bortstädad sedan ett par dagar före julafton. Plockade fram det projekt som åkte bort samtidigt. Jag började sy ihop små bitar som blivit över, en dag i november. Utan någon särskild plan. Många idéer hann rinna genom tankarna under tiden, innan jag till sist kom fram till att det skulle bli en ny kudde. Och då fick jag sprätta lite för att formatet skulle bli rätt, och fylla på med fler lappar. Men igår blev överdelen klar. Detaljbild ovan. I dag har jag maskinkviltat med övermataren. I saw my sewingmachine again yesterday. I was a dear reunion, since it had been put away for over a month. I was disciplined enough to continue on the project I was sewing on when the machine ws put away for Christmas. 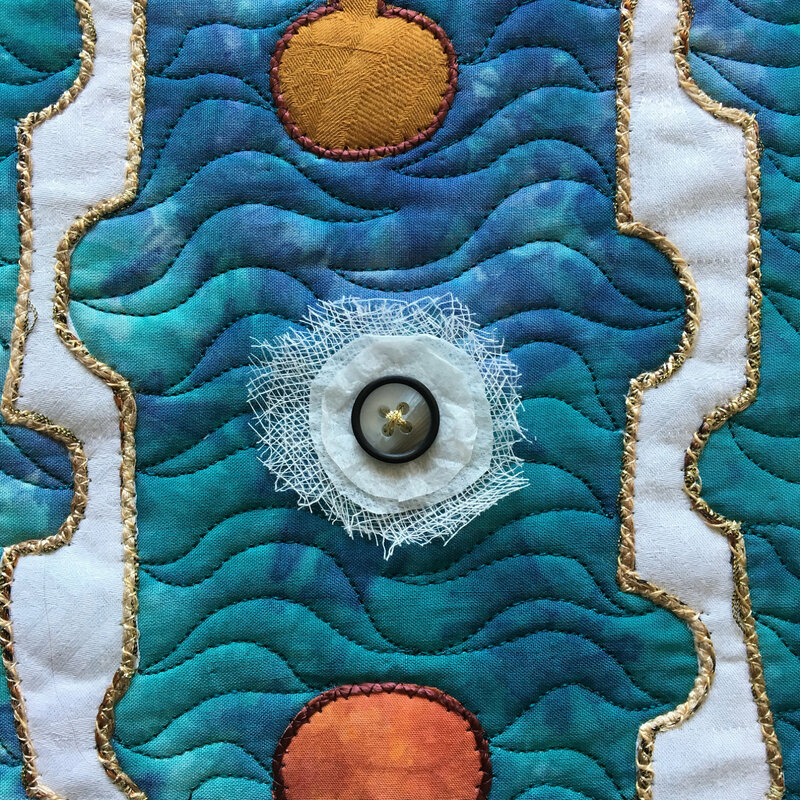 I had started to sew scraps together one day in November, without a plan. Saw some ideas both come and go before I decided to make a pillow. When I finally decided I had to start ripping some seams, since the format was wrong, and find som more scraps. Yesterday I finished the top for the pillow. Detail above. 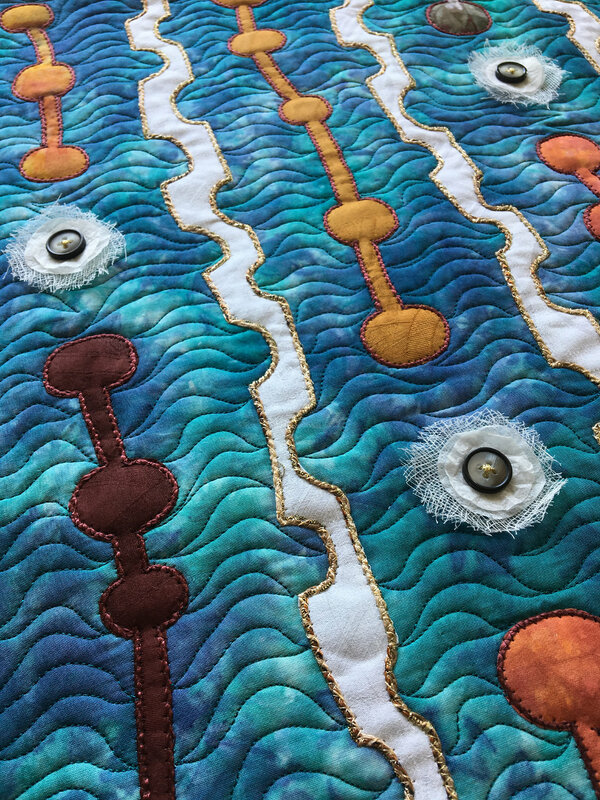 Today I machine quilted with my walking foot. Äntligen! –– In English below –– Är på kvilthelg på Tjörn med ett gäng glada kviltare och har börjat helgen med att sy färdigt mitt ipadfodral, som legat nästan färdigt i evigheter. Är sjukt nöjd! Tycker så mycket om tygerna. Passade så bra att handkvilta runt alla blommorna. Och nu hittade jag en tyg som passade som lukkekant. At last! 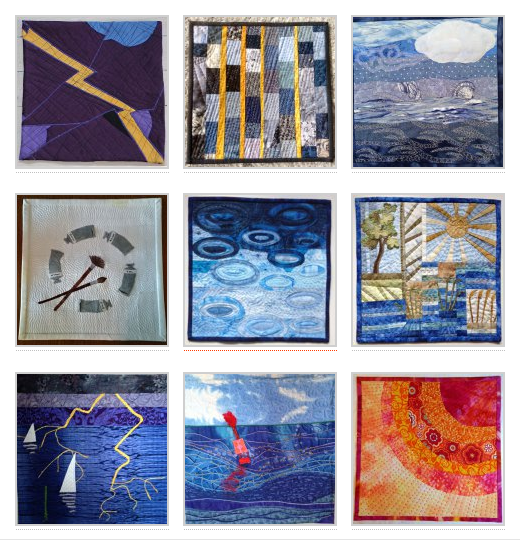 I’m at a quilt weekend on the island Tjörn for the weekend. 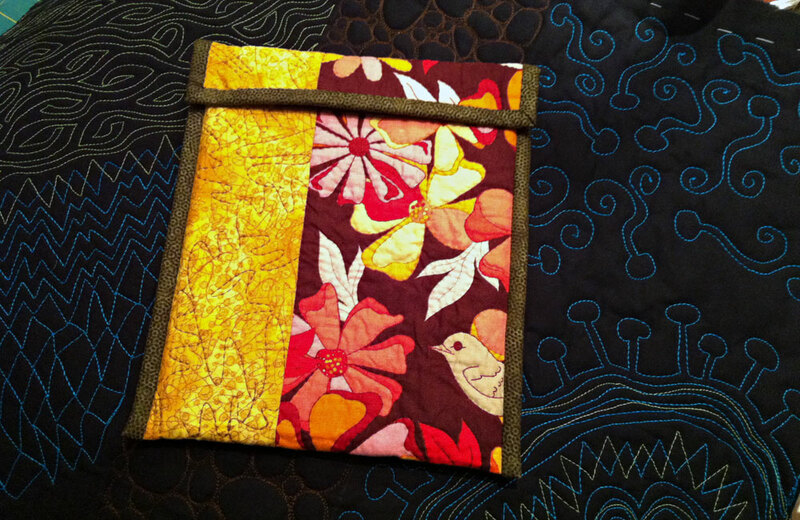 Started out on friday evening by finishing my ipad cover, which has been a work in progress for a very long time. I really love the result! I certainly like the fabric and I enjoy the hand quilting around th flowers, And now I found hte rigth fabric for the binding. Eftersom jag inte är det minsta idrottsintresserad så tog det några dagar – men sen upptäckte jag lapptäckena i OS. –– In English below –– Och nu myser jag så över att de båda forna fiendenationerna Ryssland och USA båda lutar sig mot traditionen och kommer fram till samma sak: lapptäcksmönster ska representera länderna i de olympiska spelen i Sotji. 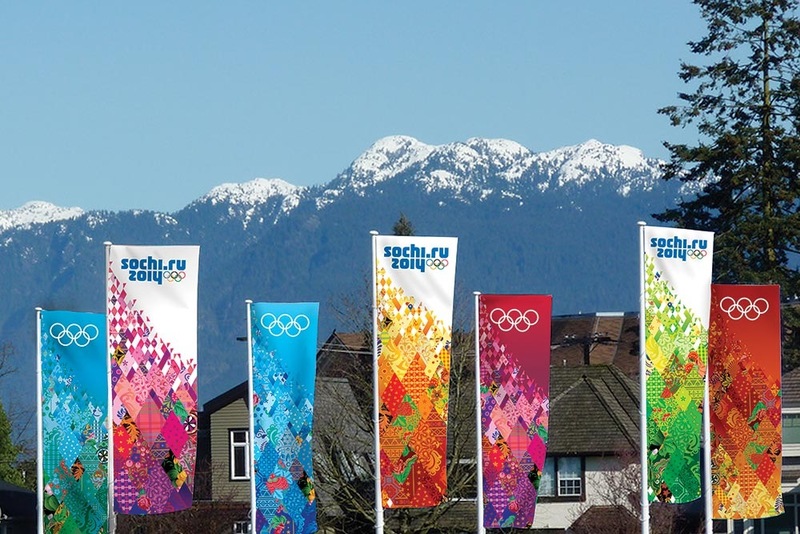 This concept for a visual image of the Games in Sochi was based on the principle of patchwork. Such patchworks were an indispensable part of Russian peasants’ homes. 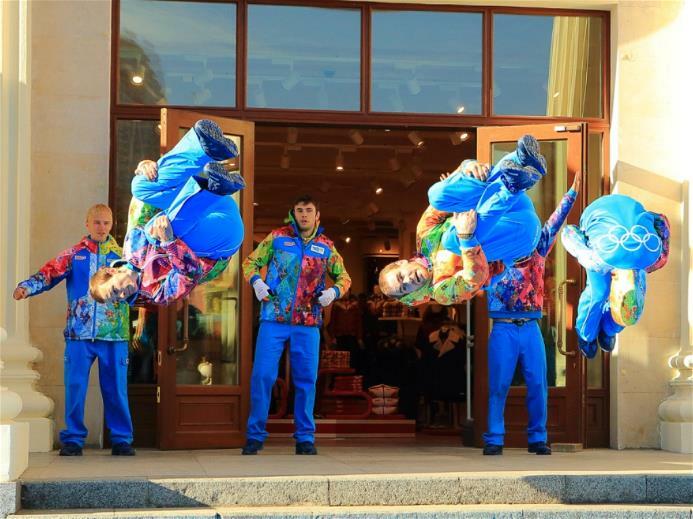 Over time, this technique became a widely acknowledged branch of traditional arts and culture. An interesting fact from Russian history is that Catherine, the wife of Peter I, personally sewed a patchwork for her husband as a gift. 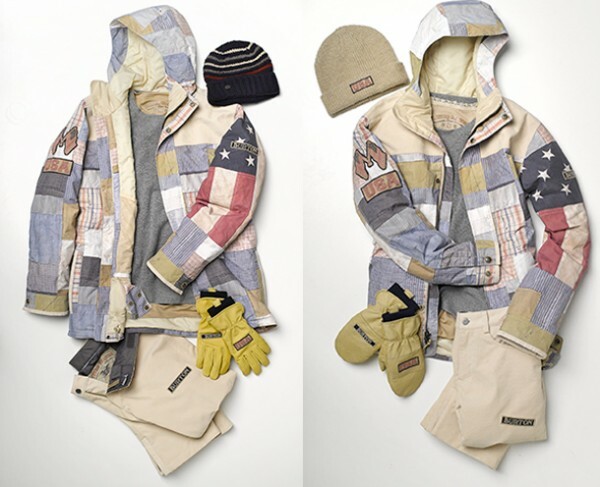 To design the uniform for the 2014 Sochi Games, Burton once again turned to America’s heritage for inspiration. 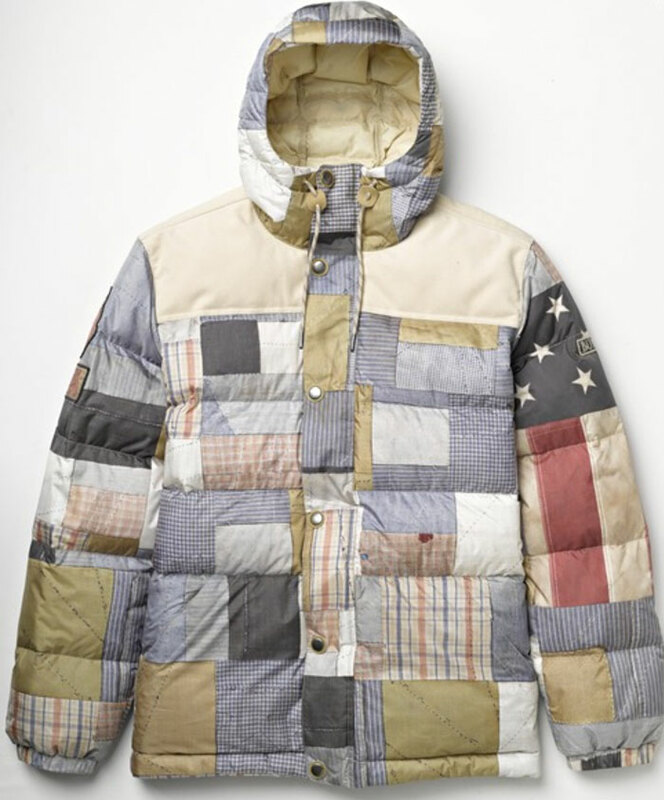 And nothing represents Americana more than handcrafted patchwork quilts and the American flag, which are both at the heart of the 2014 uniform. 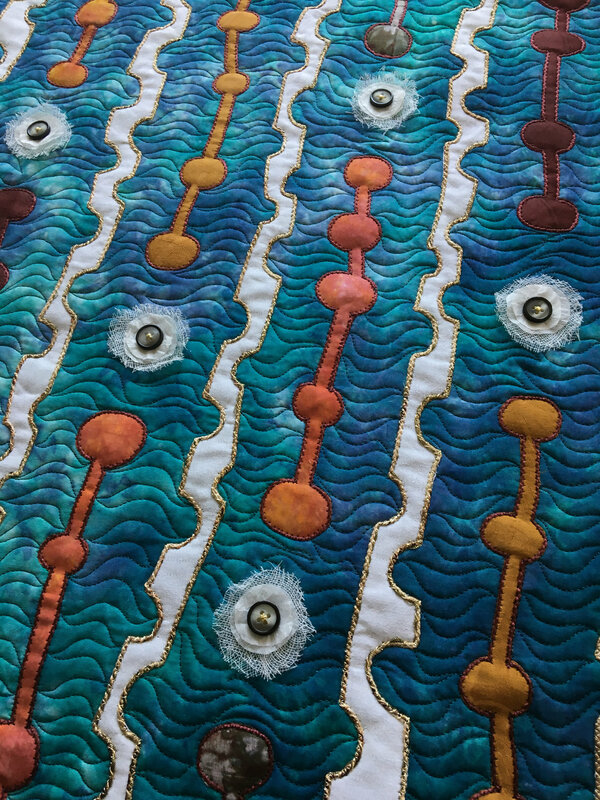 After a long hunt, Burton designers found the perfect vintage quilt at an antique fair. Läs mitt andra inlägg om olympiska lapptäcken. 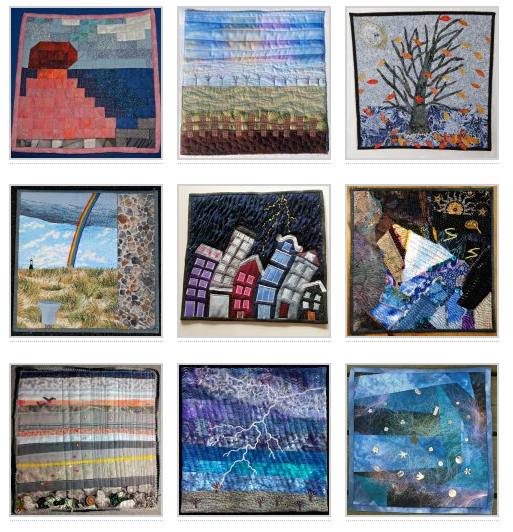 Since I’m not the least interested of sports, it took some days before I realised that quilts are a theme on the olympic games. Now I’m enjoying the fact that the both former enemies Russia and the USA both leans against tradition and ends up with the same conclusion: quilt patterns shall represent both nations in the olympic games in Sochi. 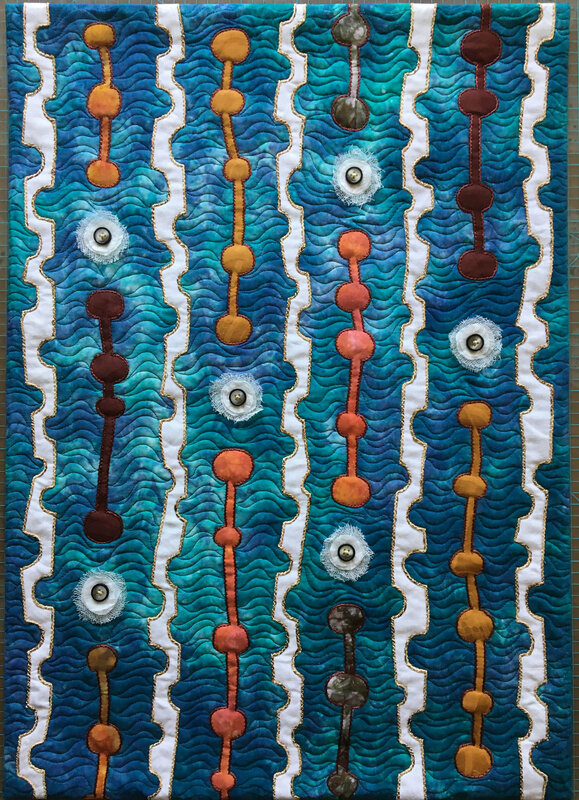 Read my second blog post about olympic quilts. Men roligt också att se hela Moder Ryssland som en enda regnbågsnation. 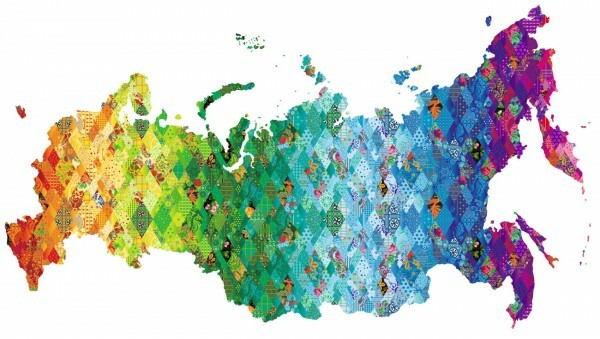 But I also enjoy to see all of Mother Russia as a Rainbow Nation. Bilderna har jag lånat från pressmaterial. / Pictures from press materials.